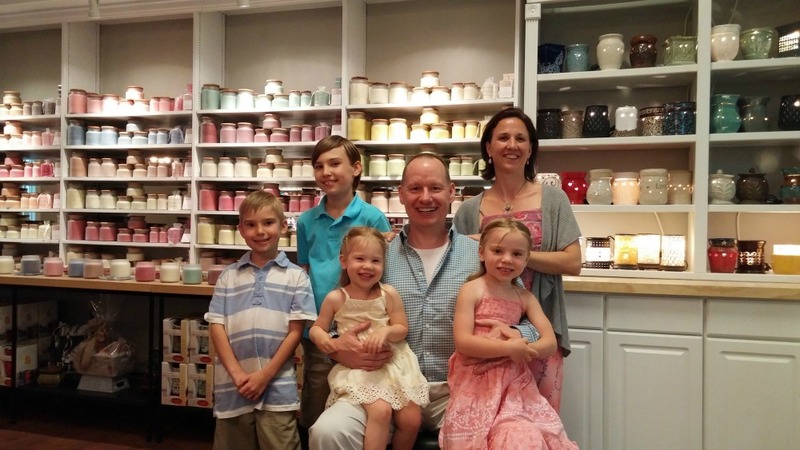 We are the Schumachers, creators of Pure Integrity Soy Candles. I'm Teresa Schumacher and this is my wonderful husband Jeffrey & our children, Christian, Joshua, Hannah & Baby Mia. We are so thankful and blessed with a wonderful family, co-workers and amazing loyal customers. Our story is a marriage of our life experiences, our love for entrepreneurship and our passion for health & wellness. All given to us by our LORD & Savior Jesus Christ. These attributes blended together have created a business with an exceptional product and an exuberant passion to serve our customers from the heart. The funny thing is, we were not interested in building a soy candle business. That was never initially our interest. Our candle journey was ignited by our common passion for health and wellness. Like many of you, my husband and I enjoyed relaxing in a scent-filled house whenever we lit candles. What we didn’t enjoy was the black soot that would cover our candle jars and everything else in the vicinity. Concerned about what that black film was and what the health implications were for breathing it in, we began to do our research. What we learned was shocking. We discovered that most candles are made from paraffin wax, a petroleum by-product generated when refining oil into gasoline. A report from the Environmental Protection Agency stated that paraffin wax is harmful when burned and contains 11 toxins, two that are considered cancer-causing. We also learned that most commercially-made fragrances were made from nothing but a bunch of chemicals, petroleum-based synthetics. The soot from these materials can contain carcinogens, neurotoxins, and reproductive toxins. These toxins are in addition to the ones being admitted from the metals used in wicks and other synthetic candle additives. To say the least, we were a bit frustrated with the candles that were currently on the market. Besides being unhealthy, they often had little or no aroma. The candle wax burned uneven, leaving a big hole down the center. Most often big chunks of wax were left on the side of the jar and the wicks often got buried in the wax. We loved burning candles and were not ready to give up that pleasure, but we were also not going to compromise our family’s health. We were convinced that there had to be a way to make a healthier candle. Armed with this newly-found knowledge and a desire to still enjoy the ambiance and fragrance of burning candles—albeit in a healthy way!—we decided to create a new kind of candle for ourselves to enjoy. 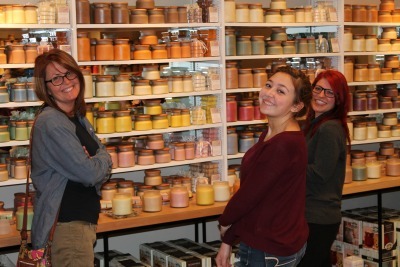 One year after giving our soy candles out to friends and family the flame was ignited for a successful candle business. Everyone wanted more! That was 10 years ago! We invented an Innovative Fragrance Technology and a 7 Step Pouring Process , which allows us to use more fragrance than any other candle we know of on the market today. We developed our fragrances in a healthier way specifically for us to use in our unique soy wax formulation, as opposed to typical fragrances which are made from 100% synthetics. To top it all off, we hand-pour each and every candle using a seven-step pouring process enabling our soy candles to have incredible scent from top to bottom. Yes, it’s a lot of steps, but quality of the process matters! You may be thinking, yeah - yeah . . ..I have heard it all before. Why should I give your candles a try? Well, don't take our word for it, read what others all over the net are saying about our soy candles .Pure Integrity Candles are rated the best scented candles 9 years in a row online. Type in our company name on google and you will see 100's of raving reviews all over the net! Scented Strong & Lasting Long .. .Naturally! The future is bright! 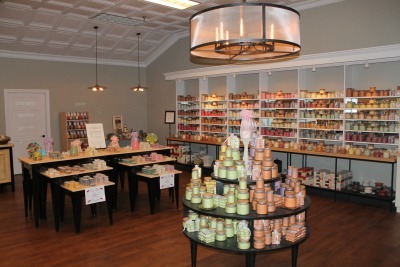 In addition to purchasing soy candles online, if you are in the Western New York area you can visit our Eastern Hills Mall retail location or our Boulevard Mall retail location. 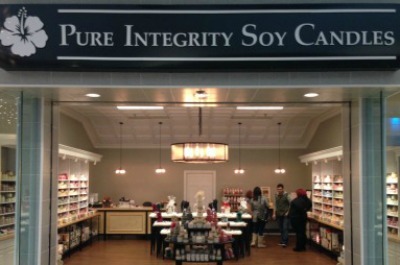 Pure Integrity Soy Candles are also sold at fine retailers and salons & spas throughout Western New York and across the country. We’ll continue adding amazing scents to our extensive offerings and looking for new ways to help families enjoy burning strong, clean soy candles in different styles and varieties. Wow! what great smelling candles. I received a hand written note from Nina. I am big on customer service so I thought that was special. However, while the letter was appreciated the candles were magnificent. Especially, the oatmeal cookie candle, it smells like I just baked a batched. I wanted to say thanks and I look forward to buying more in the future. Your name definitely matches your customer service!